Minister Esther Renee Wright is a member and Minister at Fountain of Praise, under the leadership of Pastor Remus E. Wright and Co-Pastor Mia K. Wright. Renee, as most of her friends call her, is always on a mission to spread God’s word. She is a teacher of the gospel, a chemical dependency counselor and mentor. She holds a Masters degree in Psychology and has been blessed to utilize her gifts serving adolescents with mental illness and substance abuse. Her goal is to become God's best clinician and minister, in order to serve people where they are, and help them to process their mental, emotional and spiritual challenges for growth to take place. 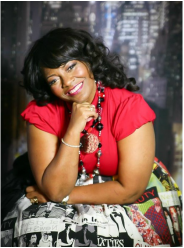 She is the founder of Titus Works Ministries, a vision she believes was downloaded specifically to her from God. This ministry has been created to spread the word freely to all people, with a special focus on pouring wisdom and love into our future generation. Titus Ministries is founded on the Word of God. Titus chapter 2 teaches us that the old shall be there to guide the young into a better life with Christ. Renee, has been blessed to counsel, motivate, inspire, and encourage others that they too can be a living testimony. She gives 100% to everything she is asked to do for others. With all of that said, the most important thing she would like for you to know about her is she loves God with all of her heart, and wants nothing more than for God to be pleased with everything she does.